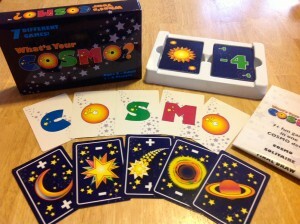 Home personalized playing cards Custom Card Game “What’s Your Cosmo” wins Family Choice Award! 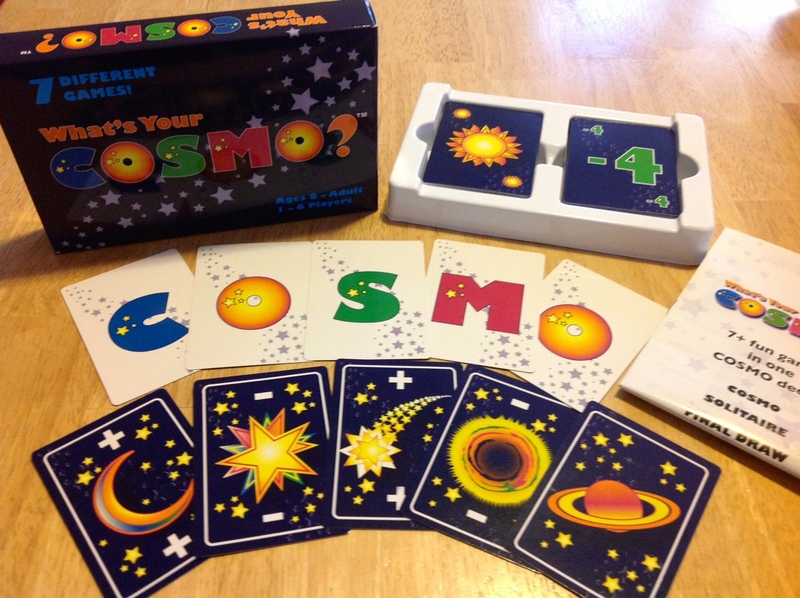 Our client Lisa – and her game What’s Your Cosmo – was just awarded a family choice award for being such a great one of 2012′s best custom card games!! Here is a review from father geek -a site reviewing custom educational playing cards and games for use by parents with their children. Spelling and math collide in this deck of 100 unique cards. This is not a game, but a game system that invites players to sit down and enjoy a variety of games that will challenge the mind. Big letters and small numbers make the cards easy to read and to identify for the Child Geeks, but the games included are fun for the whole family. With an open invite to create new games, budding game designers can use the cards to create endless fun.